A spa treatment for leather! McKee's 37 Total Leather Care Kit includes two superior leather cleaning products from McKee's 37, as well as a few accompanying accessories, and creates the perfect, money-saving kit! 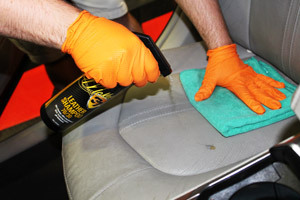 Just like paint, leather needs specialized care and McKee's 37 Leather Shampoo 70/30 and McKee's 37 Leather Guard UV50 provide that specialized care! 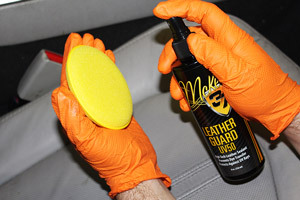 Keep your leather cleaned, protected, and looking its best with McKee's 37 Total Leather Care Kit! Our Natural Horse Hair Interior Upholstery Brush is packed with thousands of genuine horse hair bristles that gently clean leather, vinyl, cloth, and plastics. The soft bristles loosen soil and agitate leather’s pores to release body oils. 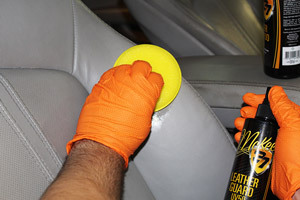 Give your vehicle’s interior the best care with the Natural Horse Hair Interior Upholstery Brush! A total retail value of $59.94. Save $19.95!